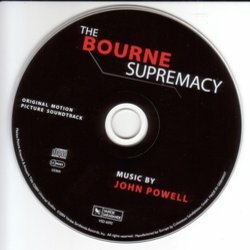 Almost without anyone noticing, John Powell has built up an impressive list of credits, from modern animated gems such as Shrek and Chicken Run, to some variably good action movies, the remake of The Italian Job (far better than people would like to admit, even in comparison to the original) and of course, the first film featuring Jason Bourne, The Bourne Identity. In the follow up, The Bourne Supremacy, Matt Damon confirms his credentials as a strong, but believable action hero, much more so than his chum Ben Affleck who is really far better as a cocky everyman than a stoic man of action. Although Paul Greengrass replaces Doug Liman in the director's chair, The Bourne Supremacy is not appreciably different in tone or quality to the first and for my money, one of the most genuinely thrilling thrillers of the summer. Despite my relatively glowing comments about John Powell above, a quick glance at my review of Identity doesn't really rate it as a favourite Powell score. However, Supremacy is a considerable improvement. Evidently his fine work on The Italian Job and, in particular his knock out action score to Paycheck (another Affleck dud) have rubbed off and the balance between the acoustic and synthetic here is much more refined. The most notable improvement over Identity is the better in track architecture, the feeling that the music is going somewhere either dramatically or in terms of momentum. This is no better demonstrated than in Berlin Foot Chase or To the Roof where Powell builds from fairly simple ideas and ratchets up the tension, most impressively with some wild string figures toward the end of Berlin Foot Chase. 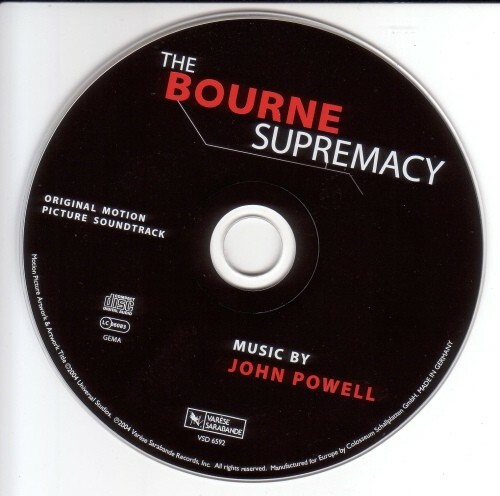 However, Powell doesn't always use the orchestra to simply bounce around energetically in time to the percussion, but uses it as a form of ornamentation, especially good in Moscow Wind Up which uses little string slurs to great effect. 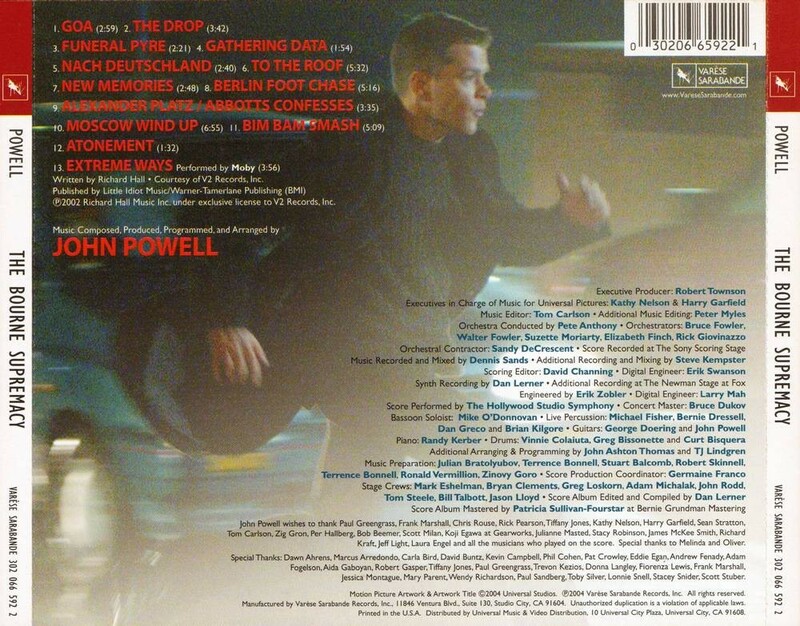 Bim Bam Smash is the film's blow out car chase and Powell is unafraid to increase the beats per minute and slightly subvert the role of the acoustic instruments to start with, but allowing them to work their way in. First as short inserts for the occasional dramatic pause to full Bondian brass swagger for the breathless finale. A little electric guitar gets in on the act too, but this is far from the cheesy 80s rock sound of Trevor Rabin and works remarkably well. It's overkill by the end, but it's earned by this point and Atonement makes for a quiet and reflective coda. There isn't much time for gentleness elsewhere, but an early highlight is Funeral Pyre which has a genuine emotive pull, at least in comparison to the quiet moments of most thriller scores. 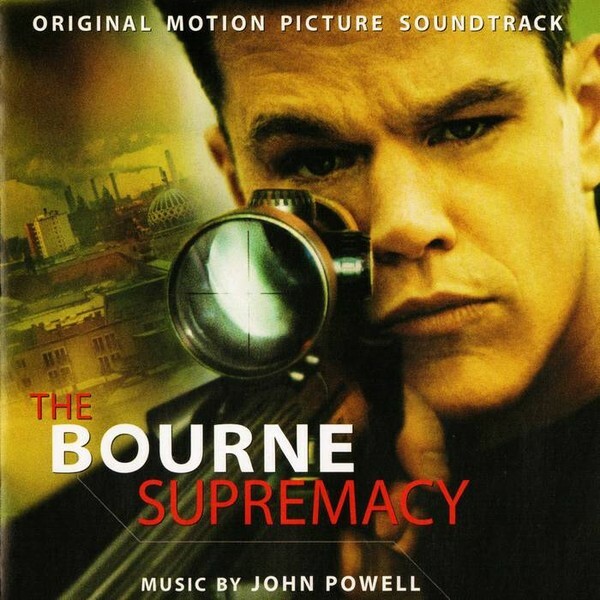 Extreme Ways, performed by Moby, closes the album and is a perfect appendix to Powell's score, plus is pertinent to the themes of the film. If only all end credit songs were this good and well chosen. You could argue that it's a touch repetitive and doesn't extend his range as a composer, but Supremacy is still a fine action score, genuinely thrilling and easy to recommend.